Cyberjaya now offers 1Gbps fibre optic broadband service, powered by Setia Haruman Technology Sdn. Bhd., a wholly owned subsidiary of Setia Haruman Sdn Bhd, the master developer of Cyberjaya. The 1Gpbs “superfast broadband” service is now available for residents at RM399/month and offices for RM3499/month. 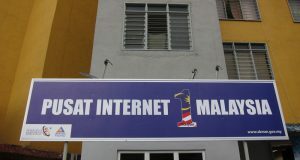 The Cyberjaya Broadband 1Gbps service offers a symmetrical Internet connection speed where users are able to simultaneously download and upload at speeds up to 1Gbps. The 1Gbps fixed broadband service also offers unlimited usage. 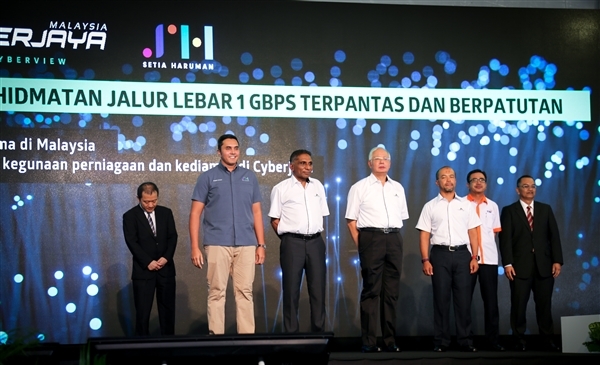 Cyberjaya celebrated its 20th year anniversary recently where the Prime Minister of Malaysia, Dato’ Sri Najib Tun Razak announced the 1Gbps broadband service as one of the 11 initiatives to transform Cyberjaya into a Smart City. “This development is definitely in line with the government’s aspiration to ensure empowerment of the use of technology among the people continue to be supported by improvements in technology infrastructure, as seen in Cyberjaya today.” said Dato’ Sri Najib. “The provision of this superfast connectivity was our effort in answering to the Prime Minister’s call to double the speed of internet at a fraction of the cost. This initiative signifies yet another momentous occasion for Cyberjaya as a model smart city and aspiring global tech hub. With Cyberjaya also being the nation’s animation hub, we hope that the accessibility to this superfast internet can encourage our talents to produce even more great work in animation, tech, gaming and more.” added Ahmad Khalif Tan Sri Mustapha Kamal, Executive Chairman of Setia Haruman Sdn Bhd. 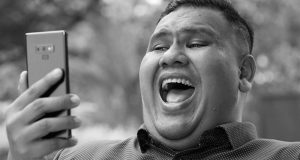 According to Setia Haruman, besides encouraging more creative content development, the “superfast broadband” will also act as a test bed for high data usage of data transfer applications. This comes in line with Cyberjaya’s mission to becoming the nation’s living lab. The city aspires to apply digital innovations in most parts of their lives, such as cashless systems, cloud computing, and Internet of Things (IoT). 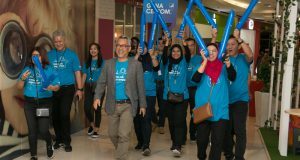 Following the launch, organisations in Cyberjaya such as the Malaysian Global Innovation and Creativity Centre (MaGIC) and the Cyberjaya University College of Medical Sciences (CUCMS) have already signed up for the service while the Malaysian Communications and Multimedia Commission have voiced their interest. More information is available on the Setia Haruman Technology website.